For Italians, pasta could be eaten even ones a day and a meal without it could feel incomplete. Pasta is a versatile dish that releases energy slowly; it is highly digestible and the lack of fats makes it suitable for low-calorie diets. In Italy, there are more pasta recipes than days in the year! 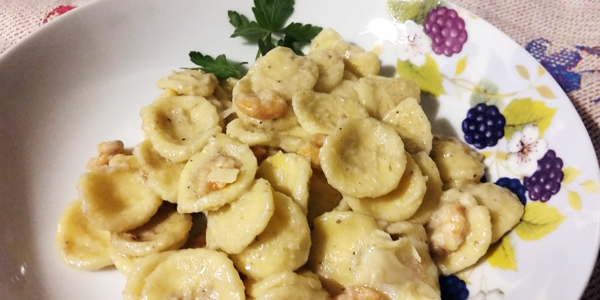 Here’s a delicious pasta recipe made with orecchiette. 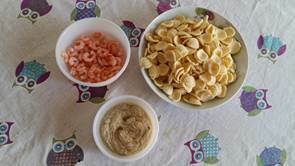 For the sauce, we are going to match the intense taste of our artichokes paté with the delicate and salty flavour of fresh shrimps. A simple and nutritious meal the can be done in just a few steps providing nutrients, vitamins and mineral salts thanks to our beloved artichokes and its numerous health benefits. 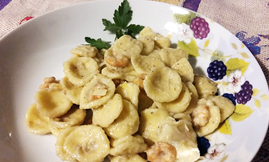 This dish is delicious when eaten warm or as a cold pasta salad. First of all, bring a large pan of water to the boil and add salt when the water is boiling. 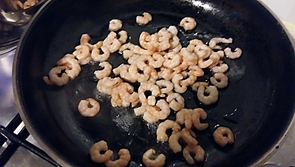 Then, heat a little bit of Extra Virgin Olive Oil in a pan and add the shrimps. Fry over-stirring occasionally for few minutes. 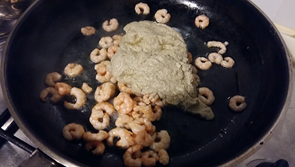 Mix the artichokes patè with the shrimps to warm it up for few minutes. 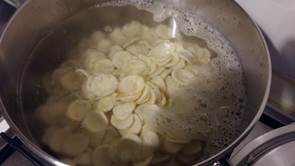 Add the orecchiette to the boiling water and cook according to the pack instructions until al dente. 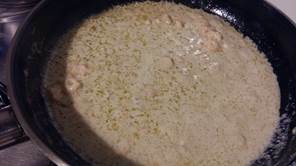 Add 2-3 tablespoons of the boiling water of the pasta to the sauce. This will dilute the sauce and provide a smoother texture. Stir all together and turn the cooker to the lowest heat. Cover the pan with a lid to keep the sauce warm while we cook the pasta. 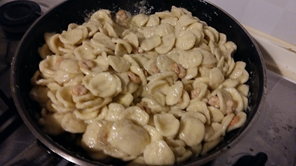 Drain the orecchiette when ready, and add it to the pan with the warm sauce. Toss the pasta with the sauce, stirring all together for a couple of minutes. Divide the pasta between the plates and add a little bit of fresh parsley. All Done! Serve hot or use in cold pasta salad.